Do you take pride in your area rug? Of course you do, but so do we. Our skilled technicians at Delray Beach Oriental Rug Cleaning Pros perform the craft of area rug and carpet cleaning in a very unique manner in Boca Raton, FL. Some people may not realize the amount of time and effort put into hand washing each rug brought in to our facility. From pre-inspection to delivery, each rug is assigned its own specific treatment process to achieve the best possible results. Area rugs can be an investment - understandably, you want a carpet and rug cleaning company you can trust. 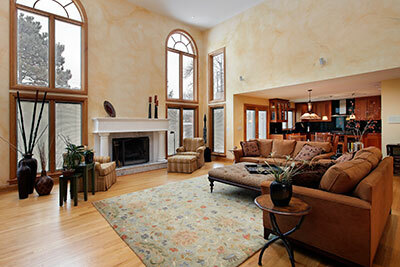 We specialize in cleaning all kinds of rugs from antique to contemporary. Just to name a few, we often handle Persian, Chinese, Indian, Afghani, and Pakistani carpet and rugs. After being pre-inspected, the fibers of your area rug will be thoroughly preconditioned to loosen any embedded soils and soot. Next, under the care of our technicians, your rug will be hand-washed using a 100% biodegradable and nontoxic shampoo. Keep in mind, delicate items can be washed just as easily as everyday laundry if the right products are used. Our specialty wool shampoo made with lavender or eucalyptus plant derivatives contains pure beneficial essential oils with no synthetic fragrances. This shampoo will create a soft feel and glowing luster while deterring dust mites and moths from your rug. We love our area rugs, but we love our pets too. If you run into pet issues, we also specialize in odor removal and can eliminate the most stubborn of smells. Odor causing elements within your rug will be encapsulated to be extracted during the cleaning process. Your rug will be hand washed several times to flush out all the contaminants within it. After a thorough hand-washing, your rug will go through a very meticulous grooming to assure a nice finish, then dried in our state-of-the-art climate controlled drying room. 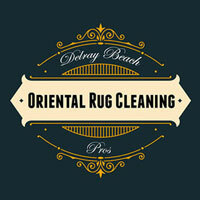 Once your rug is completely dry, our team at Delray Beach Oriental Rug Cleaning Pro does a “look, feel, smell” test. We look to make sure your rug looks vibrant by addressing as many stains and spots as possible. Next, we make sure your rug feels as soft as it possibly can be. To check the smell, we literally put our nose to your rug to make sure all foreign odors are removed. Finally, your rug will be rolled up and safely returned looking like new. 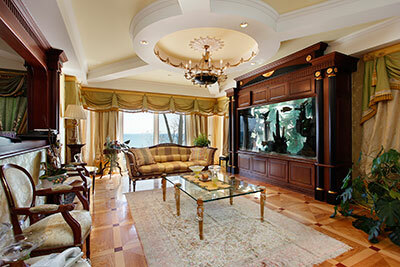 It is recommended that you have your area rugs professionally cleaned every 5-7 years. In areas of high traffic, such as foyers and family rooms, you may want to consider having your rugs cleaned every 1-3 years. Delray Beach Oriental Rug Cleaning Pro is happy to offer affordable cleaning services for all of your area rugs, including wool, cotton, and silk. A standard cleaning can do wonders for your rug and is very good at removing dirt and grease based stains. However, dye based stains – punch, red wine, coffee, tea, and pet urine – are a bit trickier. To remove these stains, we use dye removers to strip the color from the stain and then, if necessary, we will dye the area of the rug back to match the rest of the rug. It is a difficult process, and for this reason, we always encourage customers to carefully wipe up spills before they set.